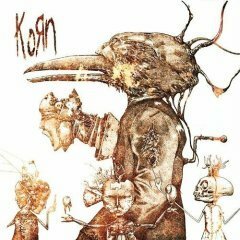 The untitled eighth studio album by American nu metal band Korn was released on July 31, 2007, through Virgin Records. The standard edition holds thirteen tracks, whereas the deluxe edition holds fourteen. The album was intentionally released without a title, as vocalist Jonathan Davis reasoned, "why not just let our fans call it whatever they wanna call it?" The album has been certified Gold in the US.